Mix marinade ingredients in a plastic, zipper bag. Add pork cubes and marinate at least 1 hour but not more than 6. 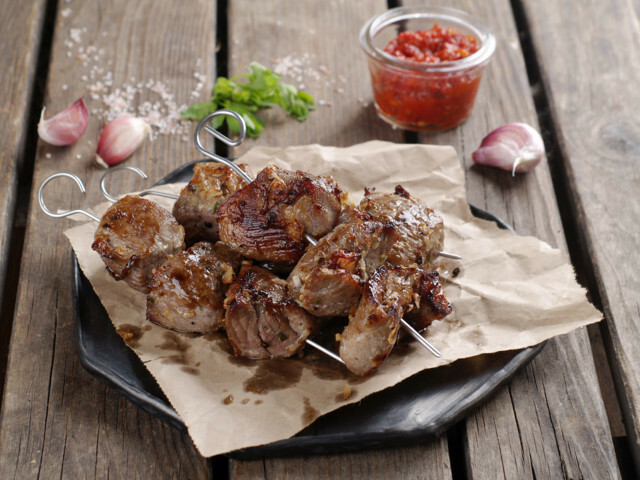 Thread meat on skewers. Brush with extra virgin coconut oil. Grill or broil on medium-low heat 7-10 minutes on each side or until nicely browned and just barely done. Don’t over-cook or they will be dry and tough.